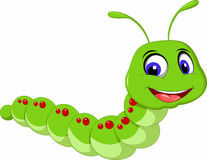 Welcome to your class page Caterpillars! We are very much looking forward to you starting your first year in the Juniors with us in September. We had a fantastic morning meeting you all and hope that you are as excited as we are about getting to know you all. Please remember to bring in your holiday homework the first week back. The deadline for this is Friday 7th September. May you have a fun and restful holiday and we look forward to hearing about all your adventures when we see you next.